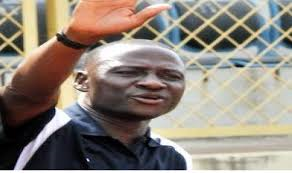 Niger Tornadoes Technical Adviser Bernard Ogbe has left the post following the club’s poor start to the season, reports Completesports.com. encounter at the Muhammadu Dikko Stadium on Sunday. He only took charge of the club before the start of the current season. The veteran tactician and his assistants were handed a five -match ultimatum by the club’ s hierarchy last week. The Minna club are yet to record a win in the NPFL this season, with three defeats and three draws. Tornadoes lost 1-0 to Rangers in a rescheduled matchday-one encounter at the Nnamdi Azikiwe Stadium, Enugu on Wednesday. “I will not wait to reach the five matches ultimatum given to me. I have lost two matches already, at this point is the right time for me to step aside,” Ogbe told reporters after Niger Tornadoes defeat to Katsina United on Sunday.